Do the autumn weekends ahead include Chili and Football around your house? Take a page from my decorating playbook and celebrate team spirit with this fall football chalkboard schedule. Choose a chalkboard to fit your space. I like an easel style chalkboard that is mobile and can easily display the 716 hometown favorite. It sure beats the usual refrigerator magnet schedule of years past. 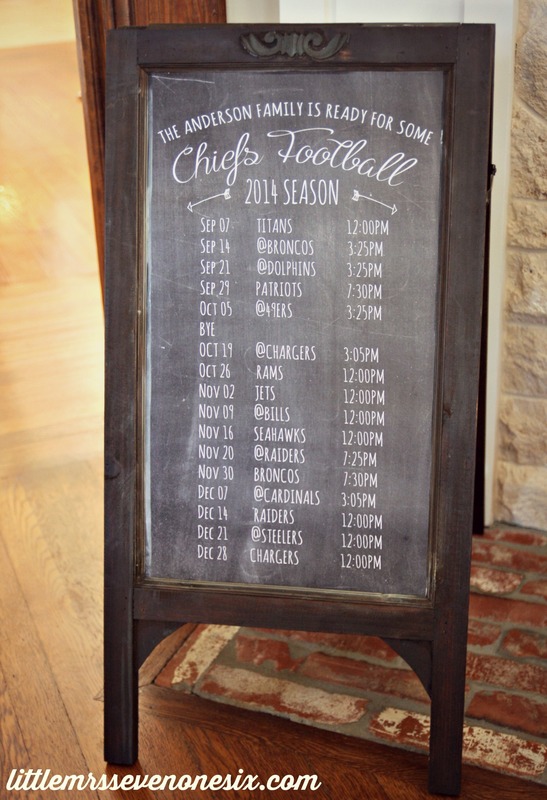 Nuzzled next to a big basket of blankets, this football chalkboard sets a cozy tone. Keep in mind a picture frame, a bulletin board, etc would also work well. Are you super impressed with my neat typography style handwriting ability? I found a great source for my football schedule needs on ETSY. The folks at ATLmarketplace shop on ETSY can customize a chalkboard print for you for a mere $20. Here’s how to make yours. Interested in a High School or College team? They can do that too! Pumpkin spice lattes, jeans, oversized sweaters, football…whats not to love about fall? 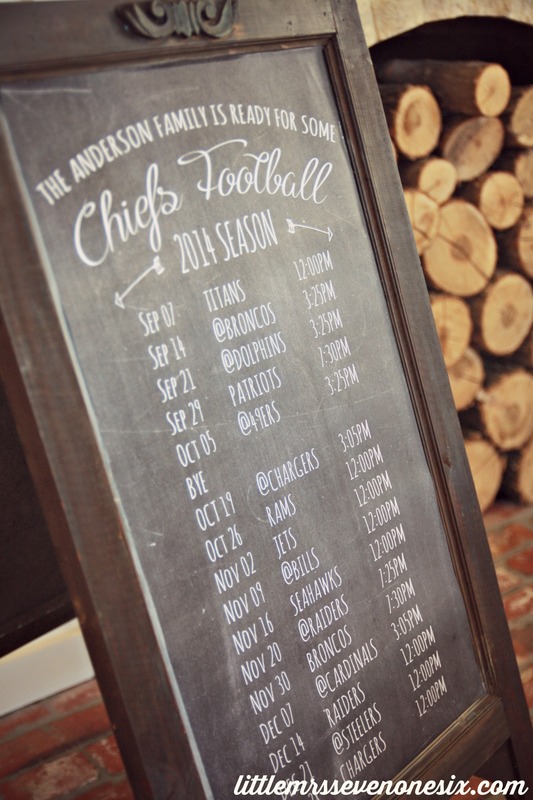 Celebrate autumn and freshen up your space with a fall football schedule chalkboard…snap. Thank you Courtney! So easy too (even I can do it. )…thank you for stopping by! It looks beautiful and it has to do with FOOTBALL! My husband and brother would lose their minds if I did this for either of them! Love this! I had no idea you could get this done at an office supply store. Hi Melissa…yes…I went to a OfficeMax. It’s super easy! Thanks for stopping by! We LOVE football in my house-and I never know the times the game starts. This is a great idea! I love how it looks too-so awesome! Thank you Kate! 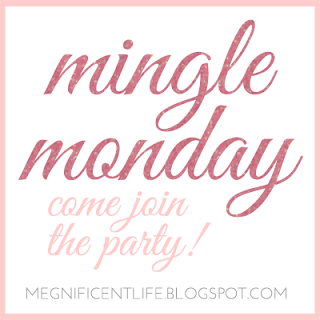 I’m so glad you stopped by the blog! Hello…thank you for stopping by! It makes a fun gift too..:) Have a wonderful day! What a cute idea! And it fits in perfectly with a post I published yesterday for Autumn Chalkboards. 🙂 PINNED! This is such a good idea. I can see how juggling multiple family schedules could make things a bit confusing, or someone’s event could be missed, so this is a great way to keep track. Thank you for sharing! Thank you Megan…so glad you stopped by! LOVE this! For so many reasons. I was super impressed with your chalk art skills until you gave away your secret. 🙂 But the truth was not a letdown! What a great idea! Btw…I got my cow! 🙂 Visited The Painted Sofa this past weekend and picked her up. I am THRILLED with her. Cannot thank you enough! Thank you so much! I only wish I had handwriting skills like this!